Epic. Never has a summer blockbuster been so ambitiously named. After one of the most exciting and visually astounding trailers of the year so far, anticipations are set high for the latest Blue Sky outing. With a voicing cast including the likes of Amanda Seyfried, Jason Sudeikis, Josh Hutcherson, Christoph Waltz and Beyonce Knowles, could the one hour, forty minute journey into the forest live up to the hype of a two minute trailer? On the one day in a hundred years where Tara (Knowles), Queen of the forest, is set to select her heir an evil group known as the Boggans, led by Mandrake (Waltz) intend to kill her and destroy the forest in order to take complete control. The Leafmen are the group charged with the order of stopping the Boggans but in particular the soldiers that have to carry that weight belong to the incredibly uncharismatic Ronin (Colin Farrell) and rookie Nod (Hutcherson) with the help of a human girl, M.K (Seyfried) who gets shrunk down to two inches tall Alice in Wonderland style in order to save the forest. No time at all is wasted in introducing the miniature world of the forest and the ongoing battle as three birds tussle in the sky with Nod and the little bird that he rides. Then the real life sized world comes into play with M.K arriving to live with her mad scientist father (Sudeikis) and you get the feeling that there is going to be a strong father-daughter relationship at the centre of this animated war film but when it ends there seems to be a great gaping hole where the human emotion of the film should have been. It’s a film that lacks any intensity at all. For a film where the whole of the forest seems to be at stake you would expect that there is at least going to be a huge battle at the end but alas, this is not the case. The one time you think you will get to see a huge fight it is cruelly ripped away from you and you are forced to travel with the more boring companions on the quest. There is a little humour provided in the form of a slug and a snail voiced by Aziz Ansari and the wonderful Chris O’Dowd respectively. And there’s a nice little musical number about halfway through the film in an attempt to lift the film more upbeat from its second act which is certainly lacking any determination at all. The only thing that comes remotely close to being epic are the brief action sequences. The animation during the fight scenes does stand out as some of the best animation in recent years and the action scenes are full of potential and wouldn’t look out of place in Peter Jackson’s Lord of the Rings trilogy (although the fact that its animated might make it stick out a little). There are some laughs, good fight scenes and another great (if underused) turn by Christoph Waltz. You cannot doubt that Epic will find an audience as it is enjoyable at times, but it does feel someone’s followed a dot-to-dot for making a children’s animated film and decided to miss out the dots that contain heart and emotion. Well this week’s news is all about sequels (some wanted, some not) and scriptwriters being hired. We’ll start with the news that a sequel to 2010’s Alice in Wonderland, starring Johnny Depp (as the Mad Hatter, not Alice), has finally started moving. I don’t say finally because I’ve been waiting ages for a sequel as a fan of the film, but because despite its mixed reviews Alice in Wonderland is the twelfth highest grossing movie of all time so it’s amazing that in a sequel heavy cinema scene that it has taken so long to get off the ground. Linda Woolverton is the woman apparently writing the script, which fits seeing as though she wrote the first film, and hopefully the sequel will be as good as her earlier works: The Lion King, Beauty and the Beast, Mulan. Wreck-It Ralph absolutely smashed the box office when it was released over in America and fast became a hit with audiences and critics alike. Disney have been fast to get a sequel rushing ahead with their animated feature. Despite the fact that Wreck-It Ralph was full of cameos from very famous video game characters there was one very obvious omission, everyone’s favourite Italian plumber (because how many do you really know?) Mario! Well with the sequel Disney are trying to find an organic way to implement him into the story saying they will put him in if they can find him something good to do, so good news for video game fans and movie fans alike. Columbia are working on a remake of the children’s classic film Jumanji. The 1995 original was a tale of kids who have to deal with the dangers of the jungle when the titular board game starts unleashing animals and more as they play. Although there is no director or stars attached to the project Columbia have now hired a writer and that is Stranger Than Fiction scriptwriter Zach Helm. Although Stranger Than Fiction was well received his only attempt at family films so far, Mr. Magorium’s Wonder Emporium, was not so well received. Earlier this year it was announced that Fantastic Four was set to receive a reboot directed by Chronicle director Josh Trank. Well it has now been announced that the release date for Fantastic Four will be March 6th 2015. This, in my view, is a horrible move being as though some big ‘geeky’ franchises are also set to continue in 2015: The Avengers 2 and Star Wars: Episode VII are both set for release that year. Long awaited Ant-Man also has a 2015 release date; the Justice League movie is slated for a release in 2015 although I highly doubt that will come to fruition. Point is, the superhero market is very liquidated in 2015 with bigger films than the Fantastic Four reboot and after the shambolic original two films will anybody care about this attempt at a reboot when The Avengers 2 hits screens? Is Johnny Depp’s Career Coming to an End? Johnny Depp is not having the greatest time at the minute, both in the film world and in his personal life. He recently split from wife Vanessa Paradis and it has been reported by the Daily Mail that while the couple were still together Depp was getting close to ‘multiple women including his publicist’ and he has been romantically linked to The Rum Diary co star Amber Heard. He also looks set to have to pay Paradis a huge £100million in the divorce, but lets focus on his film career here. Depp was once one of the most popular, consistent and versatile actors working in Hollywood and his back catalogue of films looks impressive: What’s Eating Gilbert Grape, Ed Wood, Edward Scissorhands, Sleepy Hollow, From Hell, Secret Window and Pirates of the Caribbean: Curse of the Black Pearl. It is a career that has seen Depp nominated for three Oscars in his time and despite not winning any just yet he has been praised as one of the best actors working today (a statement which I am in full support of). However, his career does seem to have taken a turn for the worse. 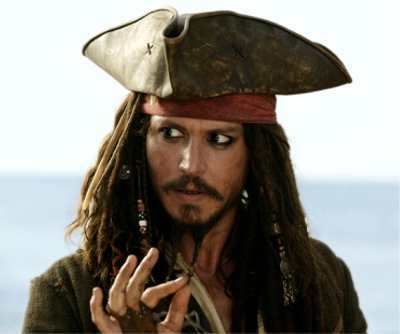 I think his decline started when he agreed to play Captain Jack Sparrow in more than one film because it is obvious to anyone who even has a passing interest in films that the Pirates franchise just keeps getting worse the longer it goes on and yet Depp continues to star in them. Despite that though, he still managed to churn out Public Enemies, Corpse Bride and Rango in between the doomed franchise. Yet these are just a few of his films, lets look at the rest. Johnny Depp’s films used to be critically acclaimed every single time, it was one of the only certainties in life, along with the fact that Kristen Stewart will not smile and Russell Brand will never be a good actor. 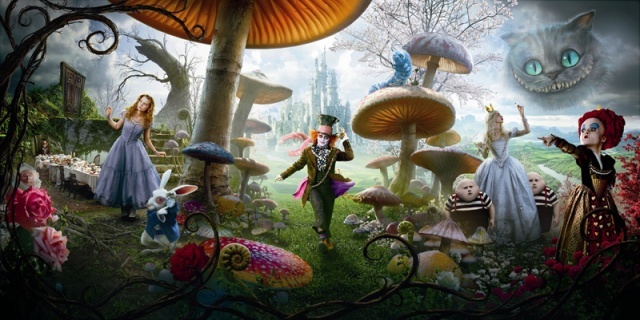 But in 2010, Tim Burton’s Alice in Wonderland, in which Johnny Depp starred as the Mad Hatter got very mixed reviews, a lot of them being negative. Despite this though, the film is the eleventh highest grossing film of all time! But then he teamed up with Angelina Jolie for The Tourist. The Tourist received negative reviews across the board. It was, however, nominated for Golden Globes for Best Comedy or Musical and Depp and Jolie received Best Actor and Actress nominations respectively. It was these nominations that saw the Golden Globes as a laughing stock that year because The Tourist is neither a comedy or a musical but is in fact a very bad film; when the nominees were announced to the press it is reported that the press room erupted with laughter at The Tourist‘s nominations. The Rum Diary came in 2011 and was expected to be a hit with Depp at the centre of it. However, The Rum Diary also received negative reviews from critics and failed to make back even half of its relatively low budget $45million. It seemed that Depp’s box office draw was waning by now. Most recently Depp starred in Tim Burton’s Dark Shadows and even this film bombed at the box office, pulling in only a small profit. Depp’s next project is The Lone Ranger where he will be portraying Tonto but early reaction to the pictures of him in this role has not been overly positive and it could prove to be another flop. And now, in the midst of all the trouble in his personal life, production on another future film of his The Thin Man, a noir remake of 1934 classic, has stalled. Apparently this delay is due to concerns with the budget, perhaps films are unwilling to finance Depp films as much as they once were. 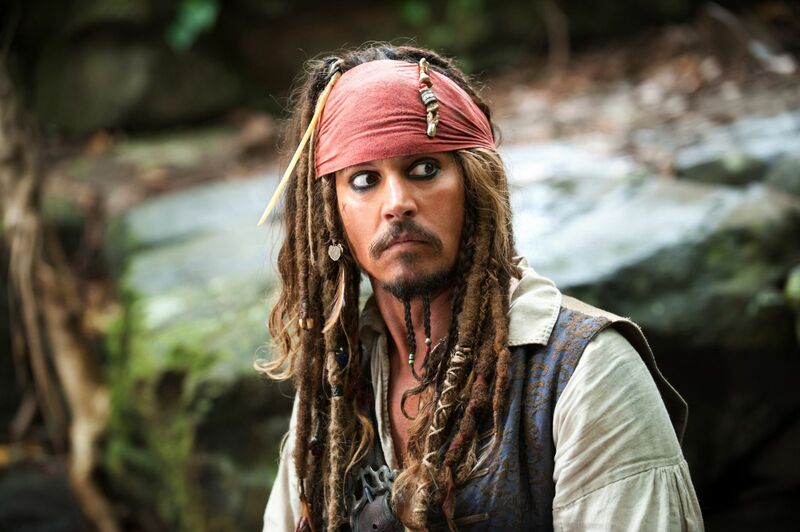 His box office draw does seem to be faltering slightly, there is no denying that and with Pirates of the Caribbean 5 set to be made with Depp still portraying Captain Jack Sparrow you do have to worry for the future of his career. Johnny Depp is often hailed as one of the best actors to never win an Oscar (not just by me) but he is in danger of going out with a rather large blemish on the end of his career. I, for one, hope that this proves to just be a blip and that he returns to golden form once again very very soon!